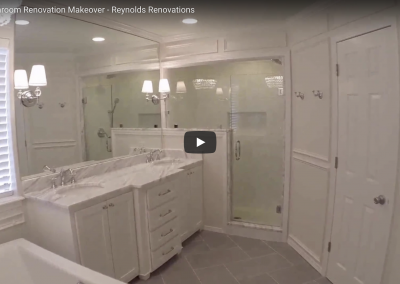 Whether you’re looking for a small bathroom remodel, a major kitchen update or a whole home renovation, Reynolds Renovations of Tulsa can help. Quality, character & beauty are always standard. Reynolds Renovations is a locally-owned home remodeling contractor for the Tulsa Metro area. Josh Reynolds specializes in complete home remodeling and renovations. From painting, to flooring, to kitchen and bath, we do it all. Whether you have a very small home remodeling project or a complete home renovation, we are here to offer you our expertise and assistance. Even if you just want to sit down and talk in order to get a general idea of what a future project may entail, we welcome your call at any time. Occasionally, we can sacrifice lunch or an early night home. But we promise to NEVER sacrifice quality. 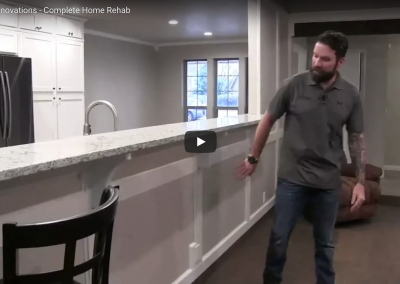 Whether a small home remodel or an entire home renovation, Josh Reynolds commits to quality and lasting craftsmanship. Beauty is defined as a combination of qualities, such as shape, color, or form, that pleases the aesthetic senses, especially the sight. Let Josh get to know you and your vision. Together, our collaboration always results in quality, character and beauty. Josh and his team are excited to bring our passion for renovation into your Tulsa home. For many homes, a kitchen is not just a place for food (and dishes). A kitchen is often a room for FAMILY AND FUN too. Outdated cabinets, a lack of storage or counter space, poor lighting and unsightly faucets and fixtures can put a damper on your family fun in the kitchen. Reynolds Renovations can solve all of these problems with a full kitchen renovation. Share your dream kitchen with Josh. He’ll bring it to life with features such as: multi-functional islands, custom cabinets, professional built-in appliances, enclosed trash bins, statement lighting, farmhouse sinks and layouts that make family time in the kitchen more enjoyable. Is the 1983 wallpaper distracting you from your duties in the bathroom? What about that leaky shower faucet and those unsightly tile repairs? Maybe it’s time for a complete bathroom makeover. Let Reynolds Renovations take it down to the studs and start fresh. 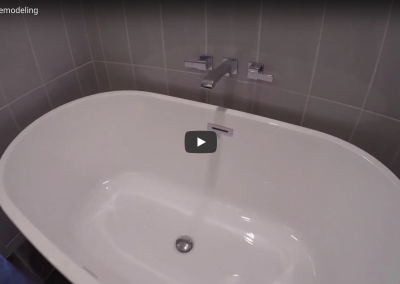 We can make every feature of your bathroom, from sink to shower, clean and relaxing. Your favorite feature may be a sliding barn door entry, heated tile floors or a motion activated faucet. 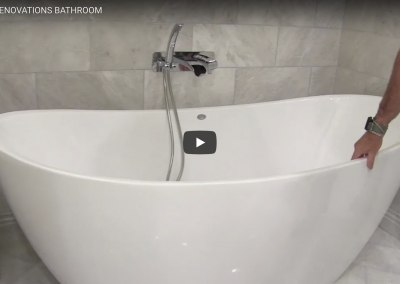 Whatever you’re dreaming for your Tulsa bathroom remodel, bring on the wish-list. We’ll make it happen. Empty nest left you with kool-aid stains and sagging closet rods? Reynolds renovations can turn that new guest room into a more welcoming overnight stay for your guests. Is it time for a laundry room overhaul? We can make any room in your home new again. Need more storage? With a mix of styles from corner units, floor-to-ceiling, furniture footing, display units, appliance hideaways, pull-out pantry, classic, modern and so much more, our expert cabinet makers can add some function and character throughout your home. Whenever possible, we like to share our work with potential customers. We hope that our past work inspires your next home makeover. Found the design of your dreams somewhere else? We can recreate it your home. Call Reynolds Renovations for an in-home consultation. We will call and schedule a time to walk-thru your home or business. Let's bring your vision to life. Tulsa Metro Area including: Broken Arrow, Jenks, Bixby, Owasso and surrounding communities. 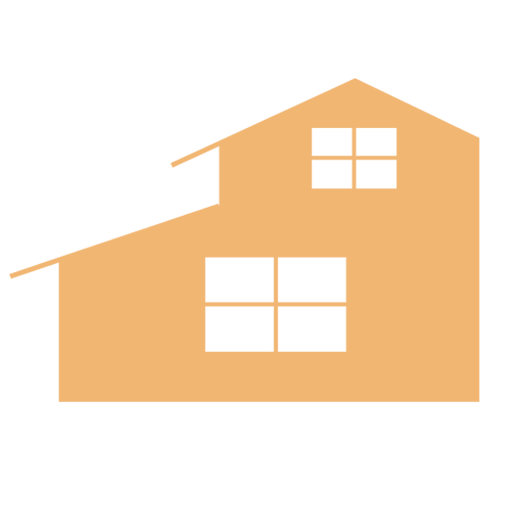 Need to share photos or job details? © 2018. Reynolds Renovations. Website by Net Solutions Today.